20 years old Nitish Kumar belongs to village Devka in Khagaria (Bihar). His father is a daily wage labourer. He was very disappointed when he had to discontinue his higher studies due to financial restrains of family. He was sitting idle at home. Once he came to know about Bosco Academy for Skill and Employment (BASE), the skill based training program offered by Don Bosco Tech with funding partner Accenture for needy and marginalized youth. He decided to enrol in the training without any further delay. During the training in Don Bosco Tech, Nitish Kumar was very active and curious about training program. He always obeyed the instructions given by his trainers in classroom. He was very simple and hard working. He always believed that this centre is his own house. 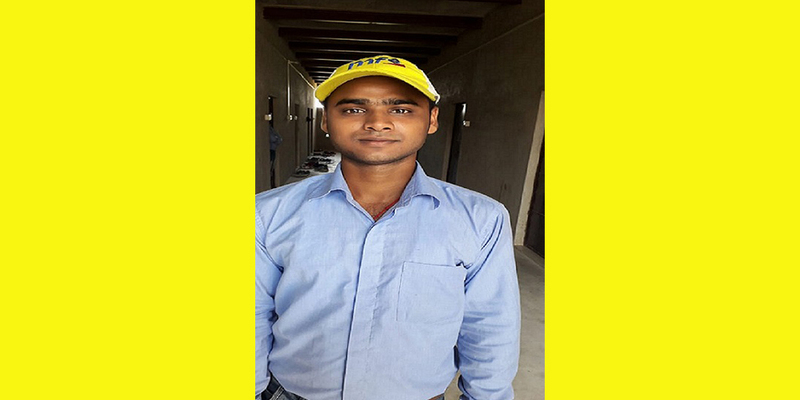 After three months training program, he got a chance to work with Minda Furukawa Electric Pvt Ltd, Noida. New journey began with 8881/- per month with food and accommodation. He is working very honestly and with positive attitude and also hoping for his promotion by which he will be able to support other as well as financial assistance to his parent. Nitish Kumar said, “Those who work hard will never face any failure in their lives.” He was grateful to all trainers who helped him to complete his training at Khagaria.